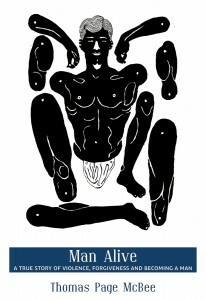 LAMBDA-award winner Man Alive , named a best book of 2014 by Publishers Weekly, Kirkus Reviews, NPR Books, and BuzzFeed, is about what makes man. The UK edition was published in 2017 by Canongate. Order it now from Amazon, City Lights, Barnes & Noble, or IndieBound. It is also available on Audible, read by Thomas.